According to new figures Britain’s pubs are selling one billion fewer pints each year than they were four years ago. 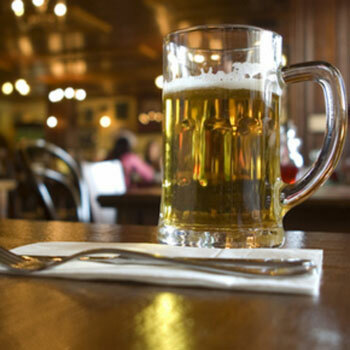 Data analysts CGA Strategy have reported that Britain’s pubs are now selling 3.9 billion pints a year, down from five billion in 2008. The figures show that the Midlands, Wales and Lancashire are the worst-hit areas, seeing beer sales fall by more than 27%. It’s not all bad news for all pubs as All Bar One owners Mitchells and Butler have said that food has helped to drive sales, as customers were put off by higher drink prices. Mitchells and Butler’s focus on the eating out market helped it post a 2.1% increase in like-for-like sales in the year to 22 September, largely driven by food. The Harvester owner said it has grown food sales by 40% over the last five years, with three quarters of its turnover now generated from food in its restaurants and pubs. The group, which reported a 4% rise in adjusted pre-tax profits to £162 million, said that drinks volumes in its retained estate continued to decline, partly as a result of increases in alcohol duty which had led to higher prices across the industry. The Campaign for Real Ale is organising a mass lobby of Parliament next month, calling for a scrapping of the beer duty escalator, which adds around £1 to the cost of every pint. On the company’s website CGA Strategy’s account director Tom Lynch, said: “The reality, for UK pubs of all styles and sizes in the, with a range of supply agreements and financial obligations, is that making sustainable profit is harder than it’s ever been. Presume you are not allowed to mention the smoking ban….